Visitors may park in any student or visitor lot with a pay permit. Permits cost $1 per hour for a maximum of 8 hours and must be displayed on your dashboard. The closest pay permit machine is located in Parking Structure 6 in the northwest corner of level 1. This machine accepts cash, Visa, and MasterCard. 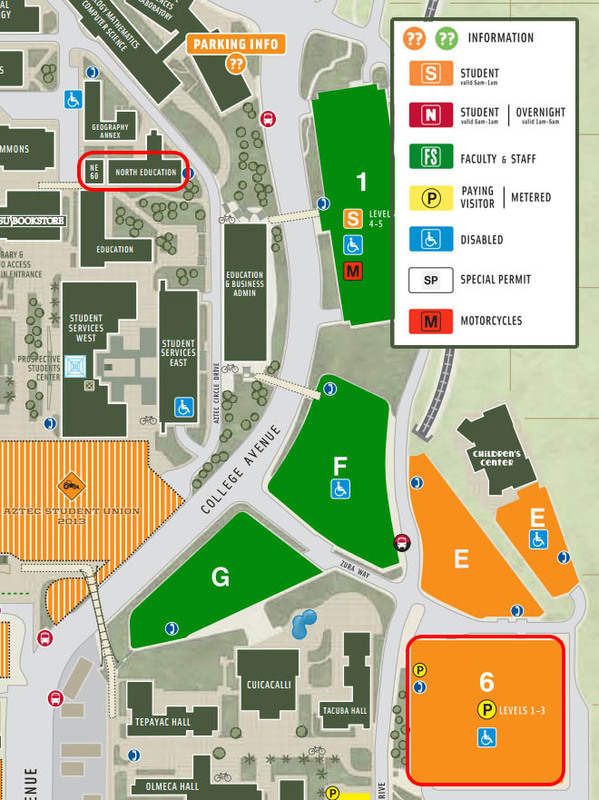 When parking in lots E or 6, walk through Lot F to the bridge over College Avenue.